Today, May 15, is Hyperemesis Gravidarum Awareness Day. Please take this opportunity to pray for women who suffer from HG and their families, and spread the word on this condition. 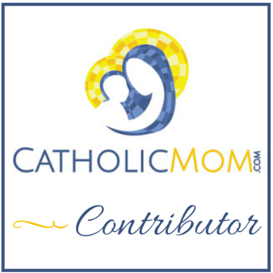 The first link above is more in-depth and more focused on the Catholic perspective, and the second link is boiled down to the nitty-gritty, and includes links to resources to help deal with HG. What makes a woman who purposely gets pregnant with baby #2 lock herself in a bathroom and cry in fear only minutes after celebrating with her husband that the baby is on the way?Hyperemesis gravidarum, also known as HG. HG is scary stuff. Take time this day to pray for women who suffer from HG and for their families. It’s nightmarish, and very often these women are encouraged to abort their precious children. So much support is needed, especially if there are other children in the home. It’s impossible for a family to get through HG alone. When I heard this news [about Kate Middleton], I cried for the royal couple, because I know her pain rather intimately. I had hyperemesis gravidarum (HG) while pregnant with my own two children. The press is describing it as “a severe form of morning sickness,” but this really doesn’t even come close to being an adequate definition. In fact, it’s pretty safe to say that unless you or someone you know has suffered through HG, you can’t quite imagine how awful it can be. If you or someone you love is suffering from hyperemesis, you don’t have to do so alone. And you can get through it with the right help. This post, related to mine at The New Parents’ Guide, has links to resources for families. Please pass it on. Use #HGaware on Twitter. This is also something near and dear to me as I suffered from HG with all 4 of my pregnancies. Thank you so much for getting this out there! I have never felt so alone as I did with all of my pregnancies as most people just did not understand the severity of it at all.